Isn’t it great when we can point a finger at someone and say it’s all his or her fault? It’s his fault our economy is in the sink. It’s her fault the ecosystem is dying. It’s his fault I can’t find love, a job, or a place to live. Yes, it’s always easier to blame someone rather than a group of people. For the past few months, I’ve watched everyone on my predominantly left-wing Facebook news feed blame Stephen Harper for everything wrong with our country. What’s wrong with our country, or what’s wrong with them? So often, the government becomes the scapegoat for all our problems: our failing business, our disobedient child, and our inability to find work, romance, and better health. Instead of taking onus for our problems, we blame the government. Guess what? The government is not looking out for you, regardless of what you think. The politician doesn’t give a hoot about all the crap you have going on in your life. If you think Justin Trudeau is going to solve all your problems—or even one of your problems—you need to face reality. If you are not taxed for this, you’ll be taxed for that. Nobody can fix what’s wrong with your life but you. Blaming one sole entity, whether it’s your employer for holding you back, or your instructor for giving you poor grades is a self-destructive way of thinking. Pretty much what you are saying is: “I’m perfect, I don’t need to change, it’s the world around me needs to change. It’s that one person over there who needs to change.” You’ll grow old a bitter, resentful person if this is your way of thinking. 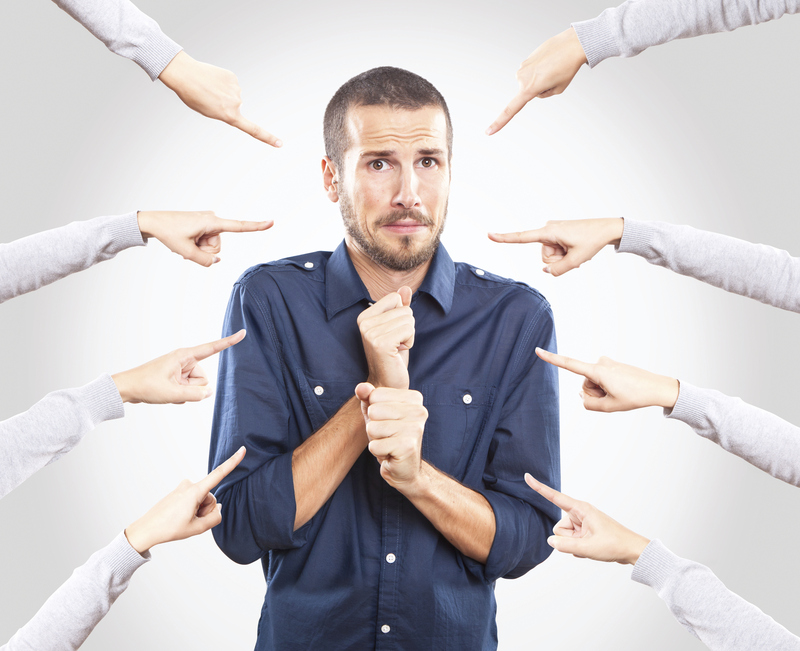 Pointing fingers and placing blame is a defensive mechanism designed to make someone else look worse than you. This is especially effective if the person is of higher rank or prestige. Remember how much Canucks fans enjoyed blaming Roberto Luongo for every hockey game lost? Whoever is at the top, we expect perfection from them, or else give them the noose. But ask yourself: can you stop more shots and win more games? Nope, but you’d like to think you can though. Don’t think. Do. Stop identifying problems as something manifested by other people. Stop investing your emotional energy on things you cannot control. Can you be a better worker? Yes. Can you force your boss to increase your wage? No. Can you vote for the candidate you like? Yes. Are you able to force others to do the same? No. People will vote or not vote for whomever they want. They’ll cheer for whatever they want. They’ll fail, succeed, and live their life without a care for you. You can blame them, but why do they care? They don’t even know you.